Sacramento, CA –Tea Party Express, the nation’s largest Tea Party political action committee, today praised Senator Ted Cruz’s record-setting speech on the floor of the Senate. 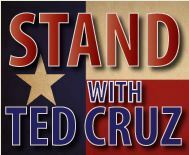 Sacramento, CA –Tea Party Express, the nation’s largest Tea Party political action committee, strongly supports Senator Ted Cruz’s speech today on the floor of the Senate. Today is the one year anniversary of Ted Cruz’s historic Texas-sized Tea Party victory. Grassroots conservatives from across the country came together to take a stand with Ted against the Washington, D.C. establishment. Now, a year later, we are preparing to do it again in 2014 Midterm Elections.